“Essentially, the dealers are not selling cars. They are selling bad loans,” said Adam Taub, a lawyer in Detroit who has defended consumers in hundreds of these cases. 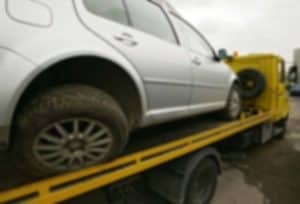 This is a great article about having to pay for a lousy car, years down the road. This is how lenders steal wealth from consumers. 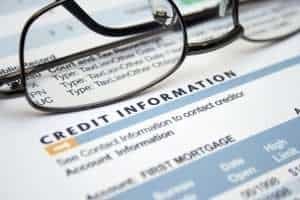 The best defense is to make informed decisions about credit. The first thing you need to do when you set out to buy a car is to shop for price. And no, I am not talking about “monthly payment.” Never, ever, ever, ever, shop for a car on the basis of monthly payment. Never mention monthly payment to any salesperson or finance manager. At the outset, you need to familiarize yourself with THE CASH PRICE OF THE VEHICLE, even if you ultimately plan to finance. There are many ways to do this without setting foot on a car lot and I recommend not setting foot on a car lot until you have educated yourself. I cannot stress how important it is for you to understand that you are buying two things: a car and a loan. There is a price tag for the car and a price tag for the loan. When you start talking about monthly payments, you are not looking at the price tag for either one and, under these circumstances, the dealer will cheat you. That is the dealer’s job; to trick you or wear you down so that you will make an ill-informed decision about the value of the vehicle and the cost of the loan. So, first, you need to nail down the cash price of the vehicle. Go online. Find the car that suits you. Start looking at various makes and models from different years, with different mileages. Figure out what these cars are selling for in your area. You can use many resources to determine this. I usually go to Kelley Blue Book. But there are many other places you can look. The point is to know the range of prices. You will see a consistency. If you see a vehicle priced significantly lower than most similar vehicles, it’s probably a wreck or a bait and switch. Avoid those vehicles. Spending an hour or so online will prove invaluable. The goal is to find five or six cars that you like and that you can go look at, and to know the cash price range of these vehicles. PRINT OUT THE ADS!!!! Make sure that your ads contain the VIN of each vehicle and the cash price. Please note: I have not discussed financing or monthly payments. And I will not do so for a bit longer. Can I Sue a Debt Collector? I get a lot of calls from consumers who want to know whether they can sue a debt collector, even if they owe the debt? The Answer is, “Yes.” However, you cannot bring a meritorious claim against a debt collector simply because it is trying to collect a debt. This is why, if you think you are the victim of debt collector abuse, debt collector harassment, or misleading statements from a debt collector, you should call an attorney right away who can assess your potential claims. 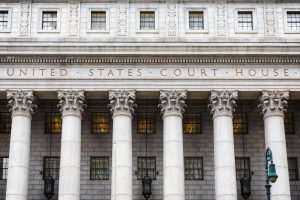 At this firm, we sue debt collectors and we look for violations of both state and federal law. It does not matter whether you owe the debt or not. The law protects you from debt collector abuse, debt collector harassment, or misleading statements from a debt collector. I recommend that you save all of your collection letters in a folder and save any voice messages you receive from debt collectors. A qualified consumer rights lawyer should be able to sit down with you, at no charge, and review your letters and recordings. Today, I read a collection letter that was misleading which was brought to me by a former client. As soon as I get done writing this, I will begin drafting a lawsuit against the debt collector. One word of caution: I see a lot of people trying to handle these types of cases without an attorney. Usually, this is in the context of trying to defend a debt collection lawsuit. This method hardly ever works. 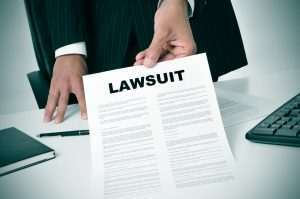 If you are being sued, you need to get an attorney for that matter. If the lawsuit involves a debt for which you have been the victim of debt collector abuse, debt collector harassment, or misleading statements from a debt collector, these bad acts need to be treated separately from the claims regarding the underlying debt. 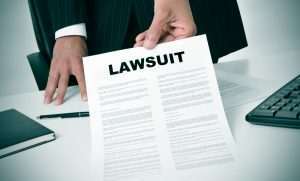 Are you being sued by a debt collector? Hire an attorney! I was in Court the other day, representing a client who was being sued by a debt collector. Prior to my client’s case being called, I watched a debtor try to explain to the judge why she did not owe the debt. Her explanation sounded plausible, but the judge gave the debt collector a judgment for the full amount. You might ask, “Why did this happen?” Well, it turns out that the debtor failed to answer the complaint correctly, missed a deadline for answering discovery, and did not respond on time to a motion filed by the debt collectors attorneys. The judgment was over $10,000.00. The judge called my client’s case next. It was a lawsuit for more than $10,000.00. I pointed out to the Judge that the other side had failed to meet a crucial deadline. The Judge agreed and the debt collector’s lawsuit became worth very little. After that hearing, the case settled for a very small amount. My client saved over $7,500.00 and more importantly, my client did not get a judgment on his credit report. The difference between these two outcomes is stark. If you are sued, get a lawyer who knows what he or she is doing. a) I didn’t think I could afford an attorney; b) I read on the internet that I could represent myself and beat the collection agency in court; or c) I owed the money, seemed like a lost cause. Being sued is a serious matter. Without an attorney, you will most likely waive any good defenses or counter-claims, miss deadlines, and have a judgment against you before you know what’s happening. And giving up and allowing the debt collectors to take a judgment against you can cost you tens of thousands of dollars. The good news is that there are firms, like this one, which represent consumers. We make it so you can afford to pay us and we strive to get you the best results possible. In some cases, we can get the entire case dismissed. In others, we have been able to negotiate settlements which save our clients thousands, even tens of thousands of dollars. If you are being sued by a bank, debt collector, credit company, debt buyer, or other corporation, do not go it alone. Give us a call. A: Both! This is why you need to understand how to shop for both cars and loans. Consumers generally do not understand how credit works. Take the time to find out the price tag of the car AND the price tag of the loan. I am going to be discussing the process for buying cars on credit. There’s a way to do this that will prevent you from getting ripped off. I hope to do this in short, easily digestible pieces that will not put you to sleep. In the meantime, if you are a consumer who is being sued for any reason, harassed or threatened by a debt collector, or defamed by a credit reporting agency, contact my office. We represent only individuals. We do not represent corporations. Credit Reporting Errors: There’s Something on My Credit Report that’s NOT mine! Your Credit Report: Timing is everything. We receive several calls a week from consumers who have been denied credit because of false derogatory information in their credit reports. Many of these callers are trying to finance a car or a house and the false information is either preventing the loan from going through or else threatening to increase interest rates well above what they’d otherwise be entitled to. These consumers want fast results. Unfortunately, given these facts, no such thing is possible. The Fair Credit Reporting Act, 15 U.S.C. 1681 et seq. (“FCRA”) — the federal law which governs credit reporting and which pre-empts all of the various state laws — sets out a procedure which takes up to 45 days before the consumer has a right to bring a lawsuit. It is crucial that you understand that you, as a private citizen, cannot bring a lawsuit against a company merely for lying about you to the credit bureaus. That’s what the law says. It requires the consumer to initiate a dispute through the credit bureaus before the law recognizes any damages or liability. The procedure can take up to 45 days. If the dispute is done properly and the furnisher of the false information fails to do a reasonable re-investigation, only then is there a potential cause of action. The time to check your credit is well in advance of a major purchase. The best way to do this is to avoid the re-sellers you see advertised on television and go to www.annualcreditreport.com and get one of each of the three major reports. Do not get a merged report or a three-in-one report. My experience is that these merged reports exclude vital information you will need to dispute false information and also leave out other data which may be helpful later. Print each one out. Keep them in order and do not mark them up; in other words, don’t write on them or make a scratch copy for notes, but keep a clean copy. At this point, your best bet is to sit down with someone who is familiar with these reports and whether the data is accurate. Call my office if you need help. Even where the debt belongs to you, you can still challenge false information being reported about that debt where it has an unduly negative affect on your ability to obtain credit. Be forewarned: the dispute process is counter-intuitive. if you screw it up, you will not have a viable lawsuit against the company that is reporting false information against you. Call my office if you need help. We handle FCRA cases regularly and have had great success in the past. Debt Collection Abuse: I’m getting sued. What do I do now? Many consumers call my office because they have been served with a lawsuit or someone has attempted to serve them with a lawsuit. If you need a great consumer rights attorney, contact the National Association of Consumer Advocates. Or you can call my office if you are being sued in Michigan. I have saved my clients thousands, sometimes tens of thousands of dollars. Do not go in to court without an attorney. 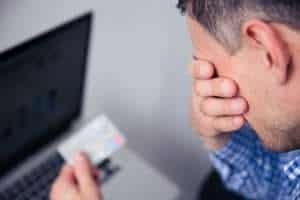 Debt Collection Abuse: What do I do about an abusive debt collector? We get a lot of calls from consumers about abusive debt collectors and debt collection harassment, intimidation, and threats of arrest or seizure. Many people do not know how to handle this type of situation and there is not much understanding — even amongst attorneys or within society at large — that debt collection is a highly regulated industry. Debt collectors must follow the Fair Debt Collection Practices Act, 15 U.S.C. §1692 et seq. (“FDCPA”) This law protects consumers from all manner of lies, abuse, intimidation, shaming, defaming, and other acts and scummy behavior. It is a good law that protects all of us as individuals. The FDCPA is a relatively short and easy-to-read statute, but please note: the FDCPA is NOT a defense to the underlying debt. You may well have a claim against a debt collector for a violation of the FDCPA: this does not, in and of itself, extinguish any debt you might owe. The Ripoff du Jour here is this: there are hundreds of scam debt collectors out there. DO NOT PAY an alleged debt collector with a credit card over the phone or by Western Union! In many cases, the scammer will threaten arrest, violence, immediate seizure of property, or threaten to serve the consumer with a lawsuit at her workplace. People get so scared that they often make a payment, even though there is no legitimate underlying debt. I had one client who recorded a collector threatening to foreclose on her home. When she said that she lived in an apartment, the scammer told her that he was going to foreclose on the apartment complex. Threats of arrest, service of lawsuits at work, seizure of cars etc. are usually indicative of a scam. These charlatans are usually hard to track down, so you should report this activity immediately to the FTC, the CFPB, and the Michigan Attorney General. So, to answer the question which is the title of this post, “What do I do about an abusive debt collector?” the answer is, 1) save all voicemails; 2) save all letters from the debt collector or collectors including the envelopes; and 3) call my office, (248) 843-0550. The consultation is free. One final point: if you get sued, do not ignore the lawsuit. Call my office, (248) 843-0550, right away. Do not go to court without a lawyer. You will lose. On the other hand, I have defended consumers against credit card companies, debt buyers, and sub-prime lenders and I have saved them thousands, sometimes tens of thousands of dollars.